When she was younger (and much less wiser! ), Raine told me, out of the blue, "What if I had two moms? I'd have a fun mom...and you." And while I found it hilarious, it was also heartbreaking. I know I'm not the silly/funny parent (guess who is), but I was a fun person. At least I used to be. I think all the fun got booted out by the lecturing and nagging and harping. That's why I was happy to check out the video from Parenting Made Practical: Taming the Lecture Bug and Getting Your Kids to Think. It's both a book and a DVD (or in my case, a downloadable video) on how to get your kids to own their responsibilities without you going hoarse reminding or lecturing them. 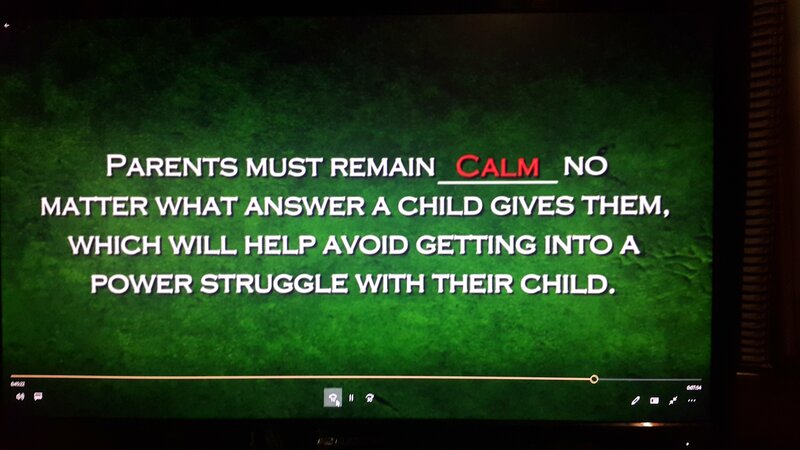 The video isn't long--about 50 minutes or so--and it seems to have been recorded live at a parenting seminar. The speakers, Joey and Carla Link, talk about their experiences, and how they went from lecturing to asking questions--non-confrontationally--so that their kids own up to their behavior. One of their daughters also helped enact typical situations that could escalate into a full nagging/lecture session. The Links then gave a few practical tips to put this into action. As Carla was relating one story, about laundry that did not get put away immediately as she expected. Carla would do the laundry and put the folded, sorted clothes on the stairs for each child to pick up and put away in their closets, but it rarely got put away in a timely manner. Does she live in my house? The Hubby, who was apparently listening, said, "So when did you write the script for that video?" She could have been describing our daily life. I would put items that I found around the house on the steps for the girls to bring up and put away. And the girls would bypass the growing pile as they went up and down, until I'd finally say something like, "Hello! Whose things are these? Why are they still here on the stairs? Didn't I tell you to put things away? Why don't we just throw them away or give them away?" We'd repeat the scenario throughout the day, with different props each time: the kitty litter box that needs cleaning; school books and pencils on the floor; empty snack containers on the shelves; books on the dining table, the couch, the bed, the floor; laundry still in the basket--I could actually just record myself and play the recording each time. I hate it! I hate it, but it's hard to get out of the nagging/lecture habit. 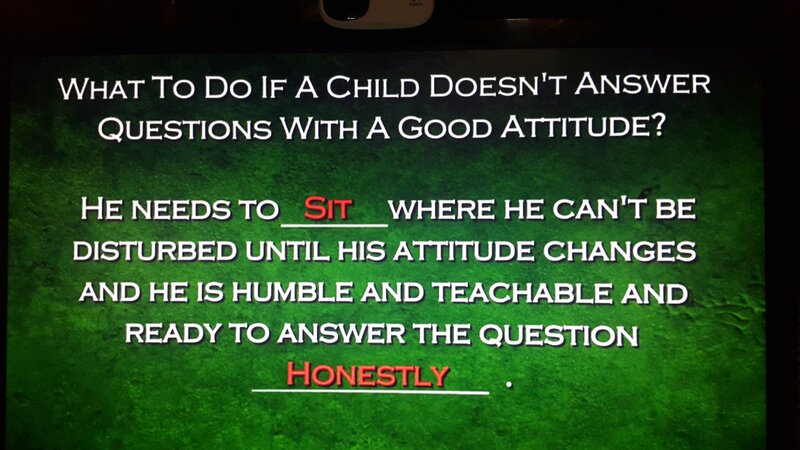 The Links recommend that instead of a lecture, phrase what you want to say as questions, leading your child to give the answers that will expose his or her heart. Not doing what is expected is a sin: "Remember, it is sin to know what you ought to do and then not do it." (James 4:17). I never thought of it that way, but it makes sense. And we all know what the consequences of sin are, so it gives me more motivation to make sure that my kids are not sinning. Make sure your kids know what is expected of them. This was not a revelation as it was a much needed reminder. Too often I think that the girls know how I want things done, and I get mad when they don't do it that way. Their bookshelves, for example. I would like all the books in a series together consecutively on the shelf; everything arranged by height, with the spines facing in a particular direction. But until I explain to them how it should be, I can't assume that they've noticed how I do it (because most of the time, they're oblivious). Be a student of your kids. Know the nuances of their speech, tone, and body language. Often, I don't pay enough attention to this. All that fills my mind is the task that did not get done. This is something I have to work on. Understand the why. This is where you need the questions. Why didn't they do what needed to be done? What should be done now? Did they think they wouldn't get caught? Keep calm. Pray. 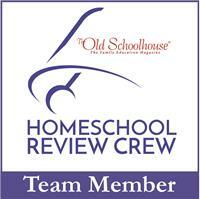 Carla said, "Sometimes parents need to go to their room to find their happy attitude." This is another thing I have to work on, my own attitude. I am rather emotional and quick-tempered, and this instantly triggers the Lecture Monster. Me: Breeze, why do you keep leaving your socks all around the house? Me: Do you know where they're supposed to go? Me: So do they belong under the bed? Me: So why did you leave them there? B: Because it gets hot, so I take them off, but I don't want to get out of bed because it's cold, and my spot will be cold by the time I get back! Me: OK. So what can you do then? B: Put them in the hamper when I get up? Me: OK. Sounds like a plan. Then I gave her a hug, and it staved off a potential meltdown (for both of us). But I really do need to pray and work on my own attitude. I hope that this works for all of us. 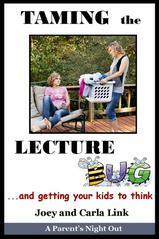 Other homeschooling families reviewed Taming the Lecture Bug and Getting Your Kids to Think and other products from Parenting Made Practical . You can read more about them by clicking below.